← We are happy after all! Can I use the Well-being Measure for younger or older children? We’ve been contacted by lots of people that work with children and young people outside the Well-being Measure’s 11-16 year target age group. Everyone wants to know whether they can use it and whether there are plans to extend the tool to cover a wider age group? Why do you focus on 11 to 16 year olds? Because that’s where the Well-being Measure has been validated and tested. We pride ourselves in a high standard of research and want customers to be confident that they are using a tool that they can trust. The Well-being Measure also uses a national baseline to benchmark results and we do not this outside the 11-16 group. What about young people outside this age group? If you work with young people slightly outside this age group (perhaps ages 9 or 18) and you think that the tool would be appropriate for them, you can still use it. It is up to you to make this decision. There are few practical concerns with using the tool slightly outside the recommended age group and it is being used by a number of our customers already in this way. However, in terms of the analysis you need to be aware that when benchmarking results we will automatically compare young people’s scores with the nearest available age – for example, if the survey is completed by a 17 year old, we will compare that to national data for a 16 year old. What about extending the Well-being Measure to 5 to 11 year olds? We are currently exploring whether we can extend the range of the Well-being to the age of 8 – but is it unlikely that we would be able to go beyond this. As a general rule, surveys don’t work very well with children younger than eight. This is because of literacy issues – they struggle to read and understand the questions that they are being asked. Most evaluation approaches with this age group instead use parents, teacher or professionals to assess progress – something that requires an entirely different approach which is outside the scope of the tool. What about extending the Well-being Measure to older age groups? This is something that we are keen to explore. With older groups, literacy issues are not a problem but some of the questions currently included in the Measure may not be appropriate – for example those on satisfaction with school and family relationships. On both these questions, we hope to have some more news on our plans by the end of the summer, which we will report on this blog and in our newsletter. Want to know more about using our Well-being Measure? 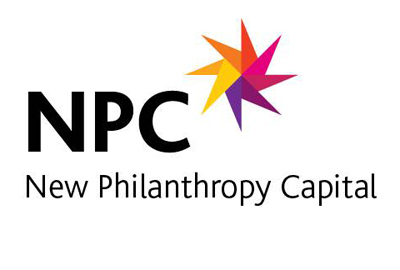 Contact us by emailing wellbeing@philanthropycapital.org.